There is an unspoken hatred among historians, especially military historians and that is the myth! Mythology in Irish life is a fantastic and wonderful thing; it has shaped our existence, our cultural history and even influenced how we Irish view ourselves and our place in the world. The mythology of the brave and fearless warriors of Na Fianna, Cú Chulainn, the Red Branch Knights, the Children of Lír, these are all good myths. But myths about the Irish War of Independence, these are not good myths. In fact these are possibly some of the most hurtful and destructive half-truths in existence in Irish life today. With the approaching centenary of the Easter Rising and the War of Independence, historians must be on guard against the ever insidious half truth. It’s not a massive stretch to say that while journalists have a duty to present the truth of the present, historians have a duty of care to those who have passed on and cannot defend themselves. 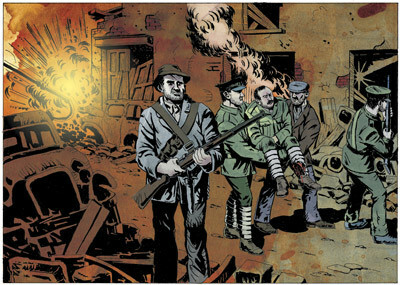 The Easter Rising was a massively unpopular event in Dublin. The locals, many of whom had relatives in the British Army, jeered the Volunteers as they were marched to Richmond Barracks after the fighting had ended. Which is surprising that less than a generation afterwards quite a significant number of men claimed to have been inside the GPO for Easter week; if they were all there it would have been the biggest garrison in the country, including the British! Diarmuid Ferriter, Professor of History at University College Dublin, has claimed that the British government had no intention of ever settling the Irish question until it was forced to do so. Extant Primary Source Material from the period however shows that David Lloyd Georges’ government was searching for a way out of the violence of the War of Independence, however its ‘dithering’ and fumbling approach often only exacerbated matter. Furthermore, Home Rule was on the Statute Books and although delayed, there was nothing the British government should or could have done to impede its passage into law. The actions of the British Army in the abortive Curragh Mutiny and members of the British upper classes in supporting the formation and arming of the subversive Ulster Unionists, was nothing short of treasonous activity. 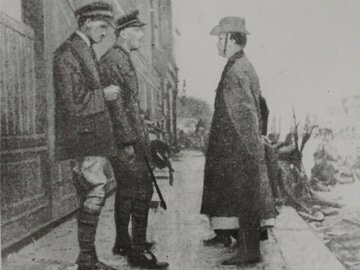 Although the Army officers did not actually technically mutiny (contrary to popular opinion, both then and now), they had engaged in a conspiracy to refuse any lawful orders ordering them to move on a lawbreaking Ulster; they were lucky not to have been caught up in the Great War (some months hence) and shot for High Treason. Even leaving aside the fact that the Rising was in reality little more than a forlorn putsch aimed at striking some sort of blow for Irish freedom, Irish nationalism must not hide from this fact and must explore all avenues relating to the Rising and the Proclamation of the Republic. 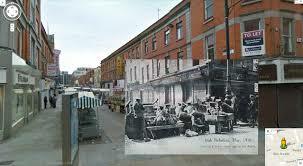 During Easter Week there were many casualties, including children; when the Volunteers fled the GPO towards the ‘Irish Alamo’ on Moore Street, they shot the lock off one of the doors, killing a child within. Little William Mullen, aged only 9 was an unsung ‘hero’ who had to die for the glorious rising. But tales of such an ilk are casually brushed under the carpet. Similarly too was Elizabeth O’Farrell, the Volunteer nurse who helped broker the ceasefire and was almost erased from history for her troubles (her boots were not taken out of the photograph of Pearse’s surrender). Joe Duffy, a radio presenter with the national broadcaster, RTE, has published a list of thirty-eight children and youths killed by both sides during the glorious events of Easter week, 1916. It is sobering, eye-opening and possibly the best thing you could ever read to debunk the Rising Myths. This entry was posted in 1916, Auxiliary Division, Britain, Commemoration, Conflict, decolonisation, Empire, First World War, Historiography, Insurgency, Ireland, Memory, Oglaigh na hEireann, Revisionism, revolutionary, Royal Irish Constabulary, women and tagged 1916, Anglo-Irish War, Black and Tans, catholics, Diarmuid Ferriter, Dublin, Easter Rising, ireland, Joe Duffy, misconception, Moore Street, myth, protestants, quisling, revisionism, Somme, UCD, Ulster, William Mullen. Bookmark the permalink.